Get your wallet out. Take2/3D Realms/Human Head have marked down their 2006 game Prey by 80% for one weekend only, sending it soaring past the other Top Sellers entries but, perhaps due to the weekend timing, not earning it much media attention. Which is a shame, because it’s a novel and otherwise effective marketing strategy. What better way to promote the recently (if mistakenly) announced Prey 2 than with the original game? Prey : absolutely face-meltingly crazy, and very, very violent. £2.90 is a steal. Before digital distribution this could only realistically have happened at a promotional event. Somewhere 2K could feel confident that copies weren’t being snapped up in bulk for later resale, but also where its impact would be limited to a promotional gimmick. 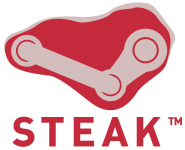 Steam, on the other hand, has blown the doors wide open: it prevents bulk purchases with its already-established credit card fraud prevention, prevents resale at any large scale with its personal user accounts, and invites every gamer from the territories it has distribution rights for to join in. It’s not just free advertising, but free advertising that people like myself will happily pay to experience — which makes the apparent lack of any attempt by Take2’s marketing team to capitalise further on the situation a mystery to me. There may still be a media onslaught awaiting us all on Monday, but (and call me jaded if you will) the consistent lack of serious effort in exploiting Steam’s potential by third party developers over the years tells me to expect otherwise. I’m in no mood to end on a negative however. Even if 2K don’t take any further advantage of their sale, it is clearly a more effective use of back catalogue than simply bundling it with newer, full-price releases. Thanks to digital distribution it is a promising and commendable strategy; one that in my opinion should by all rights become a standard practice when releasing sequels. In other news, PC Gamer UK/CVG.com have a feature up: “Why Steam Works“. Get my wallet out? I might have this kind of change under my couch cushions 🙂 Too bad I already have this game for the Xbox 360, if not I would have been sure to grab it. Great game, not the best (Half Life 2) but still most enjoyable. This has been bugging me as well. We get these great announcement that third party developers come to Steam only to see some (not even all, where is my Tony Hawk damned) back catalog and nothing more. There seems to be no effort from the third party developers. I do hope that changes in the future. P.s. I like the new look on the site. How is the contact with Valve coming along? Bless ’em, they did try. 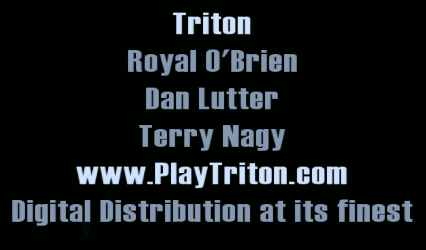 I do remember seeing Royal say somewhere that he was working on a second generation of the Triton technology. I wonder if that’ll ever see the light of day? Anyways, they’ll still have an uphill battle to be better than Steam if they do try again, with less incompetent businessmen at the helm. It has a commanding lead in so many areas, from userbase to bandwidth, maturity and functionality, that any challenger has their work cut out for them. Seems to be O’Brien’s new company. Plz can u help me to contact the publishers? Steam group. It hopes to generate some voice for the unheared “Rest of the World” where games are expensive or unavailable on steam. Video Game Design Between 1990-2008 [PICS] | WizzBoom!